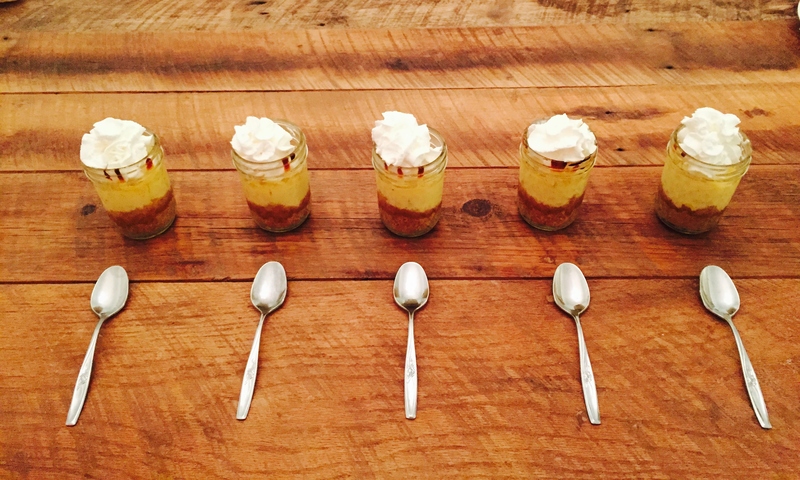 I had planned on doing one more post about my son’s nursery this morning, but after making these key lime pies in a jar over the weekend I felt utterly responsible for sharing the recipe as the crowd they were served to said they were the best things they had ever tasted. Okay I made that part up, but I am pretty sure they were very thoroughly enjoyed. 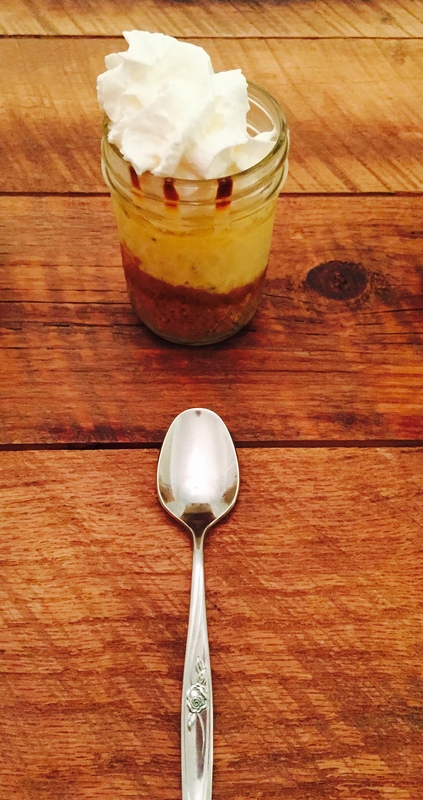 Besides what’s a Monday without a dessert-in-a-jar recipe? 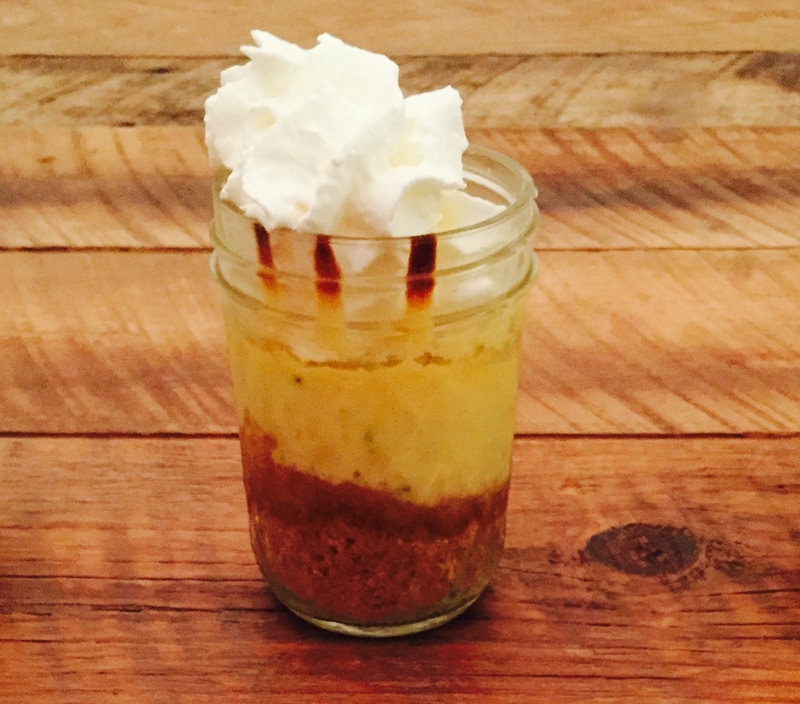 I have toyed around with key lime recipes over the years but have never been truly satisfied with my creations. Store-bought always tasted better. I do not claim to be a mastermind baker, so that could be part of the problem, but the stuff I made was never lime-tasting enough for my liking. I remember making key lime squares once and my husband asked me (immediately after he scarfed one down) what they were supposed to be. I mean, really? After a few adaptations to some of the (many) key lime pie recipes out there on the web, I think I finally came up with something that satisfies my taste buds. Hopefully it will satisfy yours as well. The 8oz Ball jars I ended up using can be purchased at your local Target or Walmart. I debated between the 4oz and 8oz jars for a minute, but then decided that 4 ounces isn’t quite enough dessert AND who doesn’t want extra room for whipped cream? I had intended to fresh-squeeze enough limes to make the entire 1.25 cups of lime juice, however after squeezing 8 key limes I gave up and used regular bottled lime juice for the remainder … maybe that’s the secret! Preheat oven to 350 F and place jars in baking dish or on baking sheet. Add crushed graham cracker crumbs and sugar to bowl and stir with fork. Add melted butter to graham cracker/sugar mixture and stir with fork until combined. Divide graham cracker mixture among jars and press gently into bottom of jars. Add sweetened condensed milk, egg yolks, lime zest and lime juice to bowl and whisk until combined. Divide filling mixture among jars evenly. Bake for 15 minutes or until filling is set. Cool at room temperature for 45 minutes, then cover with lids or foil and refrigerate for a few hours. Before serving, top with whipped cream. Garnish with more lime zest and a lime wedge to make it really pretty! You’ll see in the pictures I failed to do that – I had the best intentions though.